Stuck on what to write for your company blog? 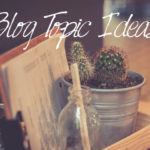 We've compiled 22 blog ideas to improve your strategy and connect with your audience. We are online, mobile-centric and increasingly on social media. 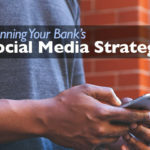 This post will help you plan your bank social media strategy. Marketers who blog bring in 67% more leads than those who don’t - and many banks aren't on board. 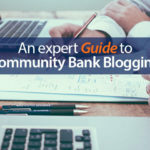 Here's an expert guide to community bank blogging. Connecting with your users is the most important aspect of your website. In order to do that, you have to understand how they interact with your site. Don't let your blog go unnoticed. Implement these simple tactics to increase blog traffic, shares and conversions in no time. With over 2 million blogs being published every day, how do you get eyes on your content? Banks are missing out. Here are three powerful community bank marketing tactics your bank can use to bring on new customers. There is a high standard on web copywriting. People are busy. They want to find information easily and understand it quickly. Inbound marketing isn't for the faint of heart. If you're going to do it, then you need to do it right. If you're starting to plan for a website redesign, there are a lot of key factors to determine before you even contact your web designer.